Nintendo is working with select Best Buy stores on 28 July 2018, to host a “Discover Nintendo Labo” event. The event will start at 12:00 (local time) and last until 15:00 (local time). Visitors will also get to try out Mario Kart 8 Deluxe using Nintendo Labo’s Toy-Con Motorbike at the event. You can head here to check out the long list of participating Best Buy stores and head there this Saturday. Check out Nintendo Labo and find out how it works this Saturday, July 28, at select Best Buy stores from 12pm-3pm (local time). You can also play Mario Kart™ 8 Deluxe* with the newly compatible Toy-Con Motorbike from the Nintendo Labo: Variety Kit! 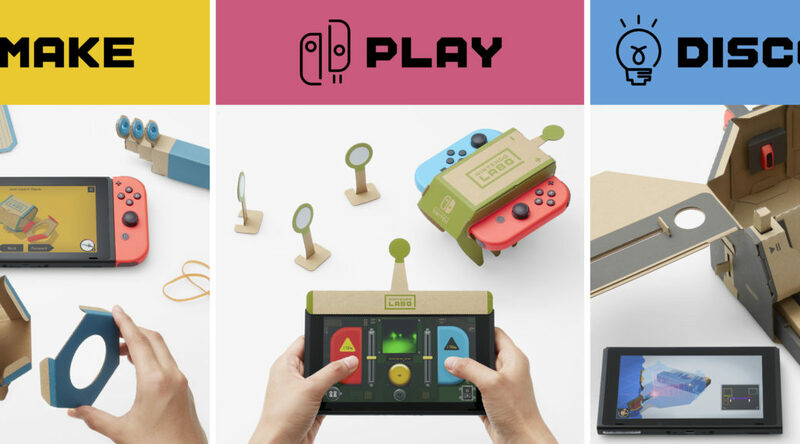 Together with the Nintendo Switch system**, the Nintendo Labo kits provide the tools and technology to MAKE fun DIY creations, PLAY games with your creations and DISCOVER how the magic of Nintendo Switch technology brings your creations to life. In addition, with the included Toy-Con Garage tool, you can invent new ways to play and create your very own Toy-Con projects! For more information on Nintendo Labo visit the official site: https://labo.nintendo.com/. *Mario Kart 8 Deluxe sold separately.